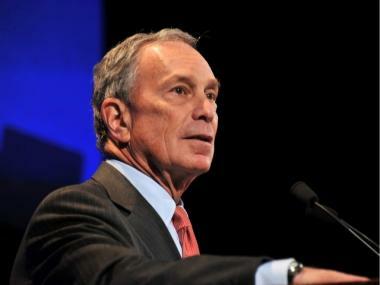 MANHATTAN — Mayor Michael Bloomberg has made his official movie debut alongside Matt Damon in "The Adjustment Bureau." The mayor appears about 37 minutes into the movie, which stars Damon as a politician running for the New York State Senate who falls in love with a ballerina played by Emily Blunt, despite forces trying to keep apart. "For about 9.2 seconds, you may just spot a ruggedly handsome guy playing the mayor of New York," Bloomberg told a group of school kids at a gallery opening in Midtown Monday night. He joked he’d spent many years in office practicing the role. Damon famously endorsed the mayor in his run for a third term in 2009, when the two filmed the movie scene outside of City Hall. 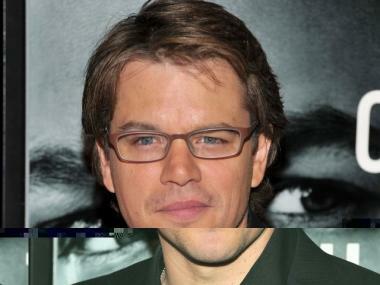 Actor Matt Damon attends the premiere of 'The Adjustment Bureau' at the Ziegfeld Theatre on February 14, 2011 in New York City. In addition to Hizzoner, the movie also features cameos by CNN’s Wolf Blitzer, "Daily Show" host Jon Stewart, James Carville and Mary Matalin, according to mediabisto.com’s FishbowlDC. While he's made numerous appearance on TV, this is the mayor’s first time in a major theatrical release, spokesman Jason Post confirmed. New York City Mayor Michael Bloomberg speaks onstage at the 2011 Jackie Robinson Foundation awards gala atThe Waldorf-Astoria on March 7, 2011.